SE Contactor 400VAC Coil 4KW | DamenCNC B.V. The LC1D09V7 is a 3-pole TeSys D Contactor with AC coil. 3NO power pole contact composition. 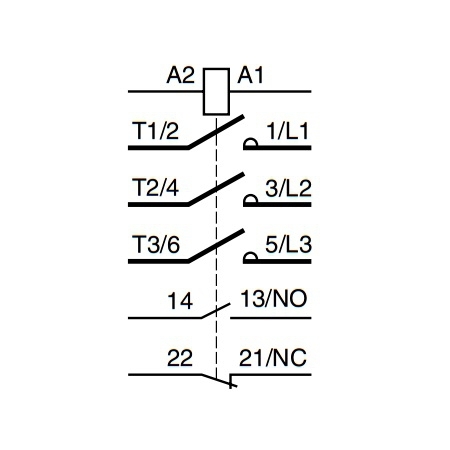 1NO-1NC auxiliary contact composition. With safety cover. Without built-in suppressor module. Type mirror contact (1NC) conforming to IEC 60947-4-1, type mechanically linked (1NO-1NC) conforming to IEC 60947-5-1. 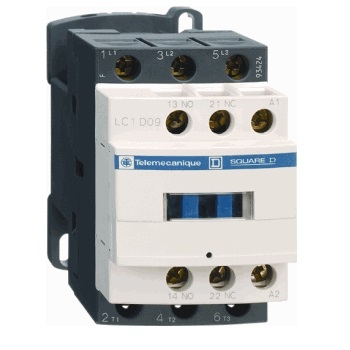 TeSys D contactor offers quick simple setup, while maintaining a compact size of 45 and 55mm (40 to 65A) as well as compliance with international standards. From 40 to 65A versions are equipped with EverLink, this new patented terminal technology, assures a permanent tightening quality even in the event of conductor creep.